Alpha ketoglutaric is an organic acid that plays a key role in the Krebs cycle, which consists of a series of chemical reactions that are involved in the body's energy production. In another role, it combines with ammonia to form glutamic acid. 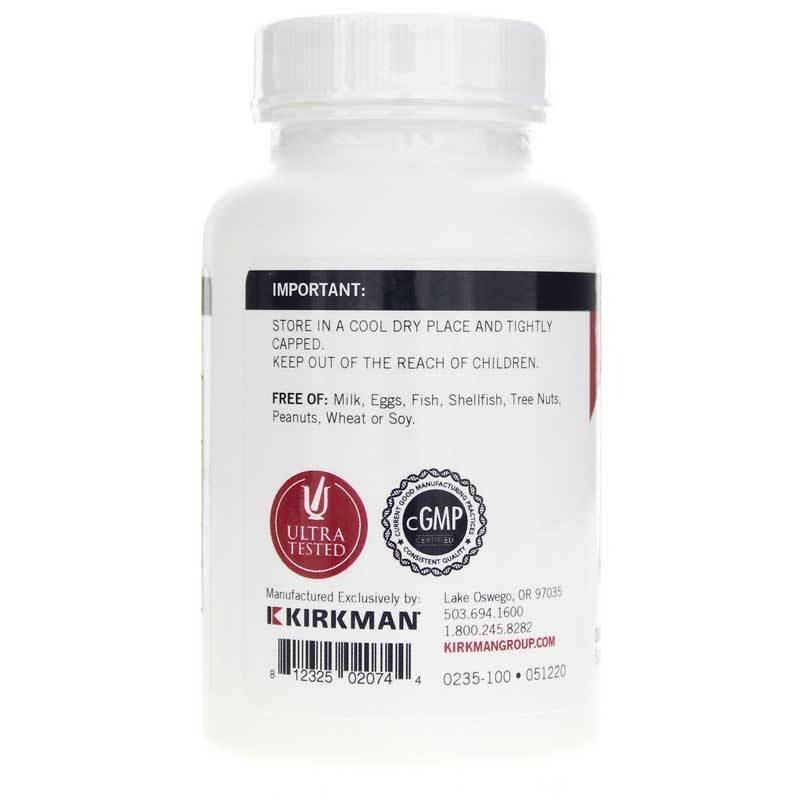 Kirkman offers a hypoallergenic natural supplement called Alpha Ketoglutaric Acid 300mg that may support energy production in the body as well as the reduction of ammonia levels. This supplement is free of most common allergens, including soy, starch, sugar, wheat, gluten, casein, milk, gelatin, yeast, peanuts, tree nuts, fish, colorings, flavorings and preservatives. It has been ultra tested for more than 950 contaminants, including bacteria, heavy metals, mold, pesticides and yeast. 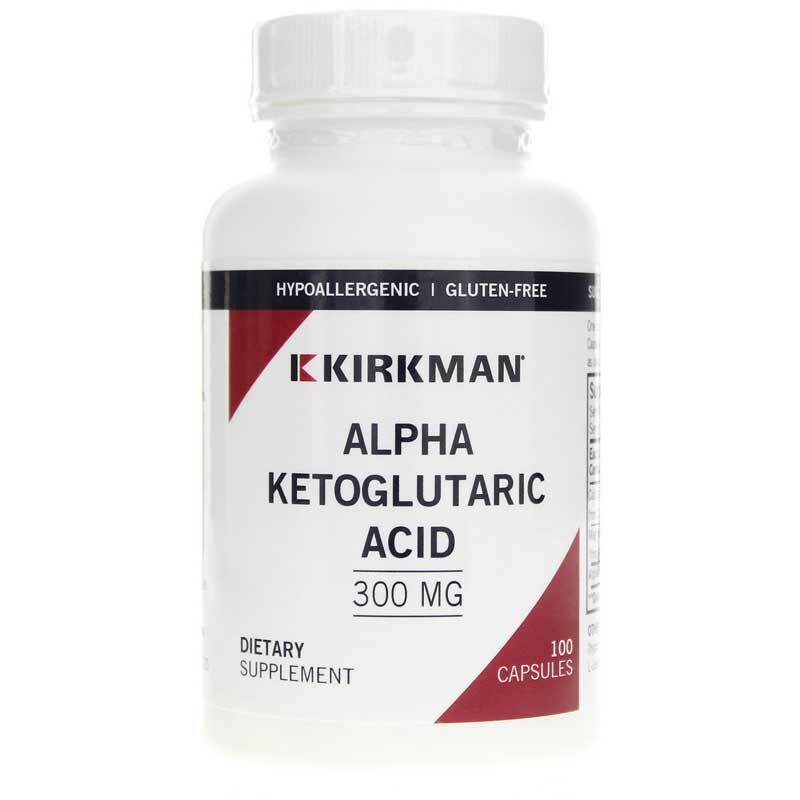 If you're looking for a hypoallergenic natural supplement that may support energy production in the body, check into Kirkman's Alpha Ketoglutaric Acid 300mg. Order online today! 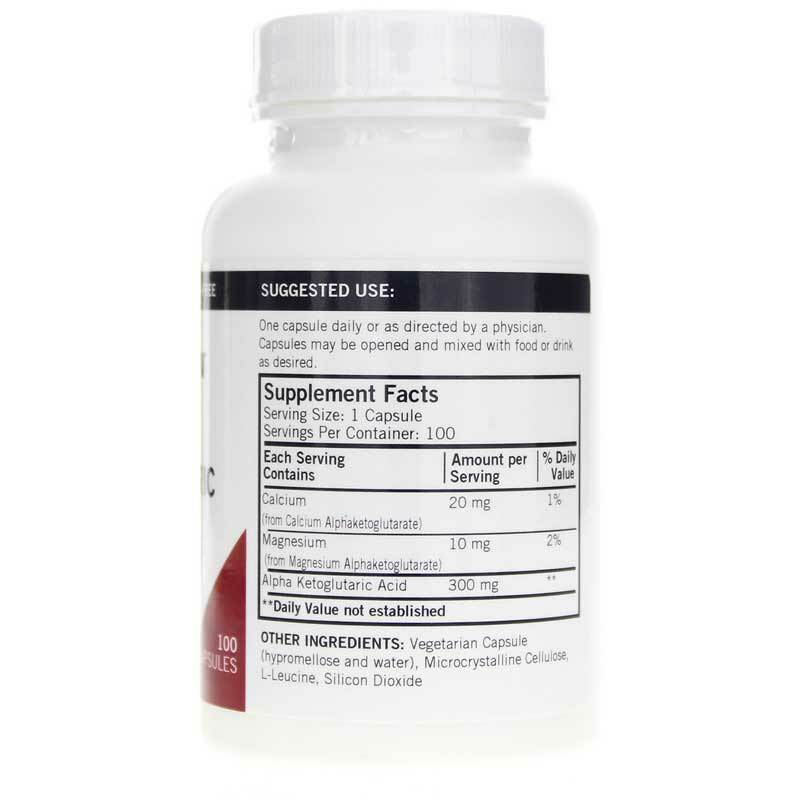 Ingredients: Alpha Ketoglutaric Acid, Calcium Ketoglutarate, Magnesium Ketoglutarate, Plant Cellulose, Silicon Dioxide, L-Leucine, Plant Cellulose Capsule. Contains NO: Sugar, starch, soy, wheat, casein, gluten, milk, preservatives, yeast, gelatin, flavorings, colorings, fish, peanuts or tree nuts. Adults: One capsule daily or as directed by a physician. Capsules may be opened and mixed with food or drink if desired.